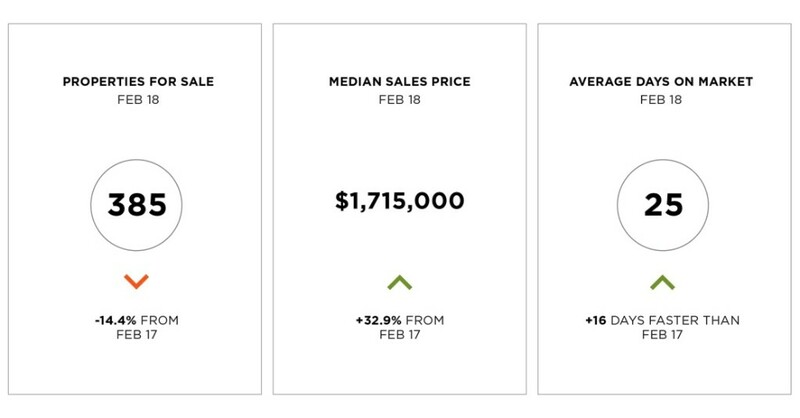 February’s median sales price for a single-family home in San Francisco spiked by almost 33 percent year over year, ending the month at $1,715,000. 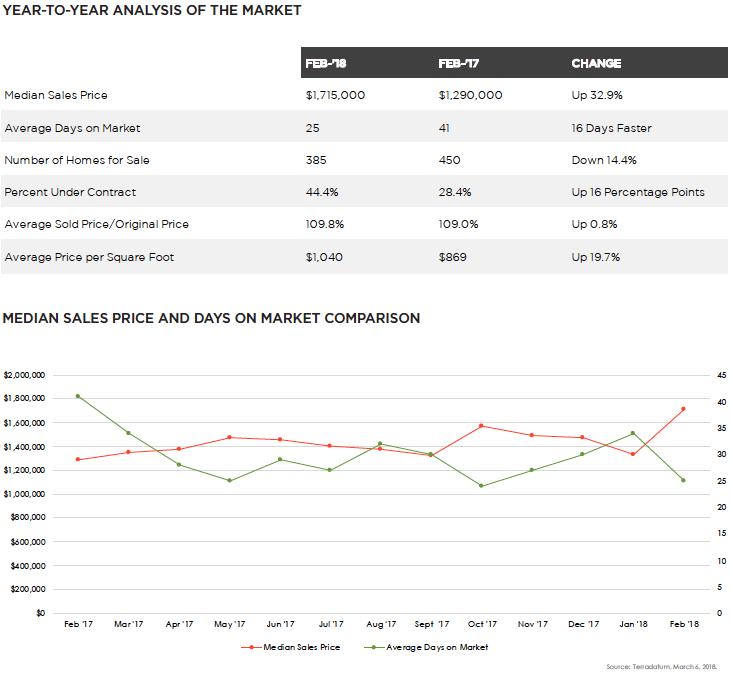 Inventory moved in the opposite direction, declining by 14.4 percent. 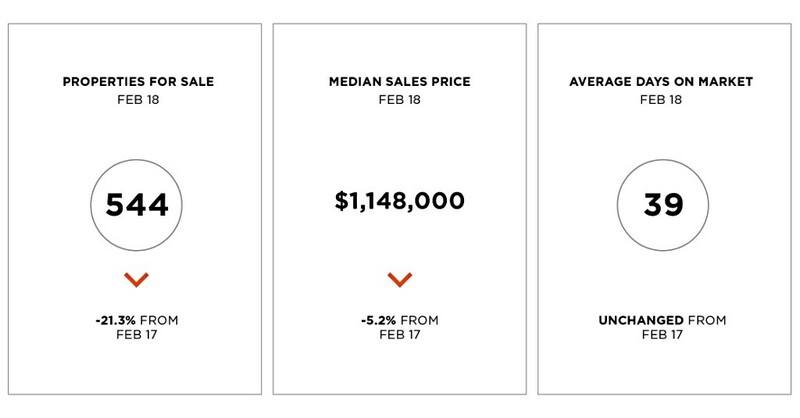 San Francisco condominium prices relaxed from February 2017, falling by 5.2 percent to $1,148,000. 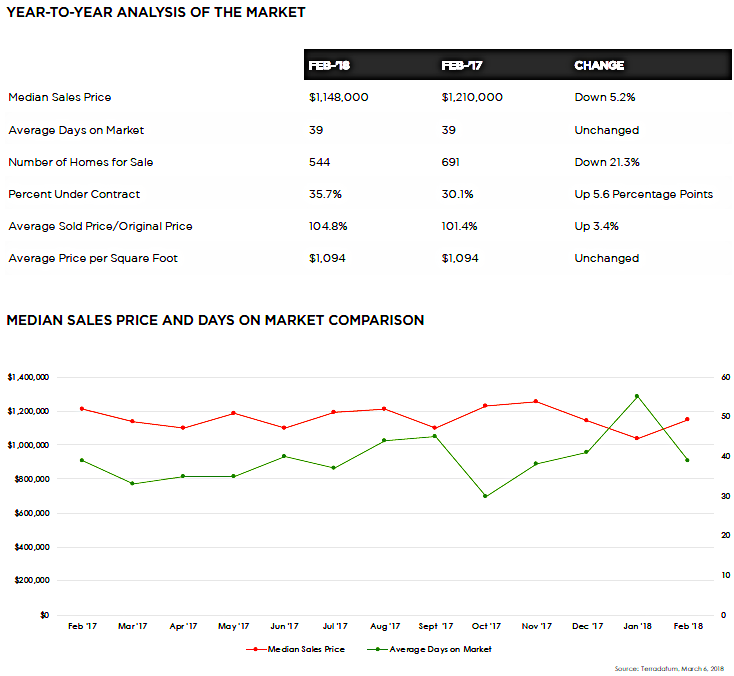 Both price per square foot and the pace of sales were unchanged on an annual basis, a respective $1,094 and an average 39 days on the market.